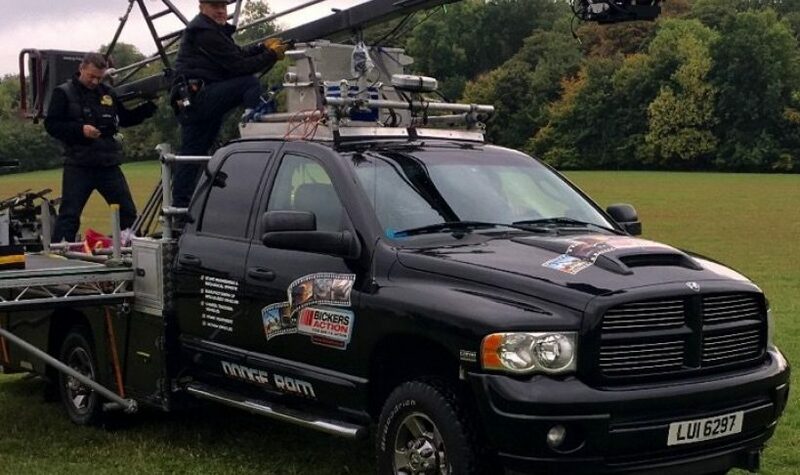 The Dodge Ram Elite 4×4 Tracking Vehicle can be used for camera tracking with any vehicle. 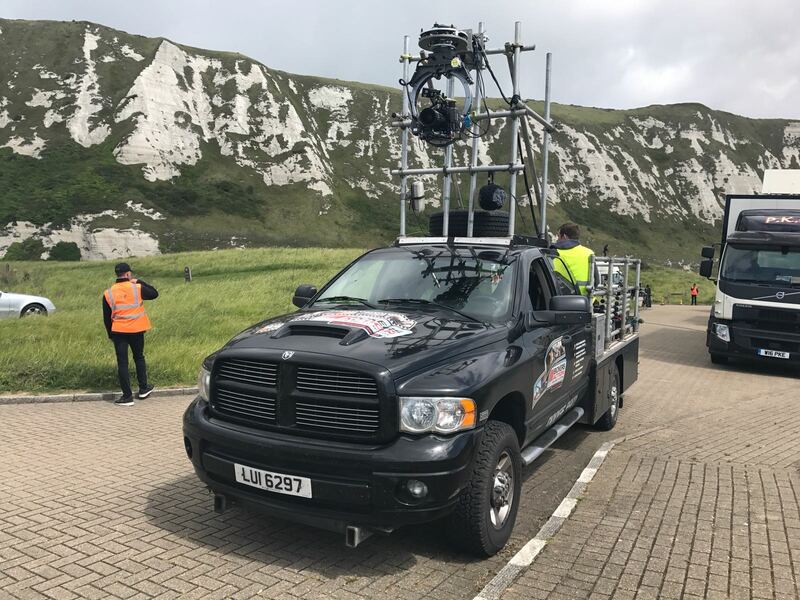 These vehicles can be used Off-Road in rough and muddy terrain, and are also ideal for location access with camera gear etc. 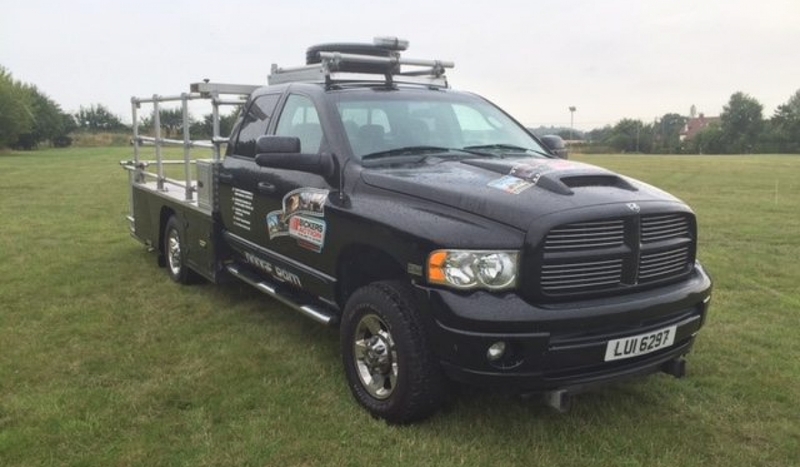 The Dodge Ram Elite is very quiet and fitted with air cushion suspension, which is adjustable to weight and ride comfort, very camera friendly! This vehicle can be used for all round camera tracking and “A” framing with interchangeable front or rear platforms. 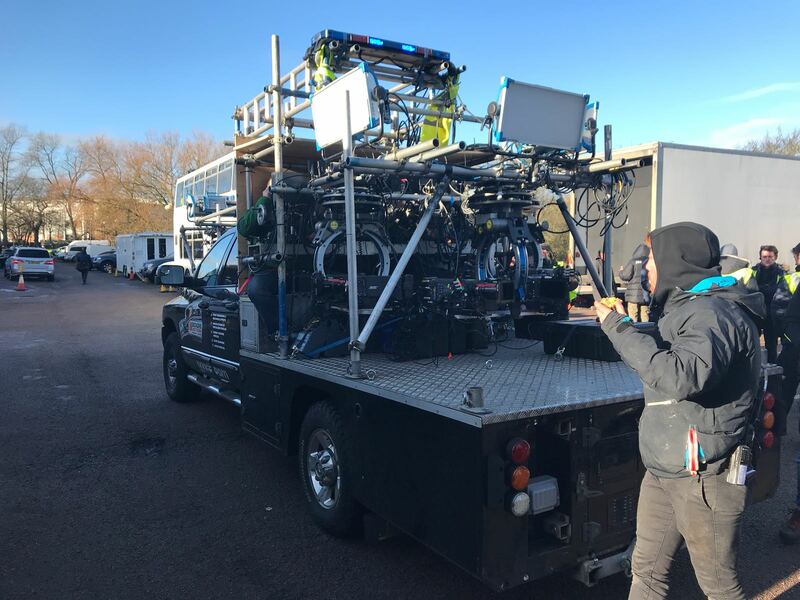 The generator (5kw) is built in under the floor area of this tracking vehicle allowing more area for crew / equipment and in addition is much quieter. The carrying capacity on this vehicle is for 6 people only plus equipment. The Crew Cab offers seating for a further 3 crew members and has space for remote head controls. other manual cranes and up to a 22-foot Techno crane.